Cinderella is a great story, period. It has all of the key elements -- an evil stepmother, a heroine in a tragic state who finds love and happiness, and the magical fairy godmother who saves her. The story was first published in the 1600's, and is based on characters that appeared in 1st century BC ancient Greece. It has captured the imagination of countless generations, and been revived by various authors, composers, screenwriters, and animators ever since its inception. 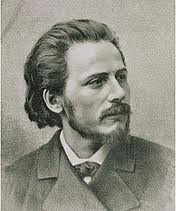 One composer just nailed it though: Jules Massenet. We all have our opinions, and this is mine. Of course, I enjoy other Cinderella versions, like Rossini's La Cenerentola, the musical by Rodgers and Hammerstein, and the Cinderella storyline in Into the Woods. However, this version by Jules Massenet, (in French, entitled Cendrillon), brings together all of the best elements, both musically and in depth of characters, to create a very compelling, engaging story that contains humor, tragedy, and real characters with genuine warmth. To me, this version definitely stands out from the rest. It is different. Let's face it, what better musical genre exists to tell a love story than the richness of the Romantic period? The differences between Massenet's version and others quickly becomes apparent. If you just sit and listen to the music, and close your eyes, you can envision the action, and see the characters in your mind. When you open your eyes, those same characters are playing out onstage exactly as you envisioned them. Break out in laughter at the absurdity of the Stepmother instructing her daughters to snag a Prince for a husband (and think to yourself "I actually knew someone like that")? Listen to the fairy godmother's music--this light, beautiful coloratura soprano--and actually feel she is hanging from a cobweb, or nestled in a dew drop? Get goosebumps when you hear the fairy chorus joining in to create an ethereal wonderland with tight haunting harmonies? Really and truly be engaged enough to worry what would happen if Cinderella and the Prince did not get together? See Cinderella's father FINALLY stand up to the Stepmother and take command? Actually believe that the Father knows he has wronged Cinderella by letting her be treated so poorly, and know he feels remorse, and tell her? Feel the tension between the Prince and Cinderella as they meet for the first time and feel the electricity of attraction as they sing? Other versions tell the story, but, to me, lack the realm of emotion or tension that is borne out in Massenet's lush melodic score with tight harmonies. Let's face it, we all already know the ending. This work is one that really involves you so that you live through the characters to arrive at that happy ending. And, what's really good for kids--and adults--is that the "tunes" in this production are very catchy and memorable. Characters you love, and melodies you'll fall in love with. It's the perfect combination. What totally perplexes me is that this work appears not to have been performed in Chicagoland area since Mary Garden performed the role of the Prince in 1911 with the predecessor of the Lyric Opera. Written in 1899, the work came into existence as a new musical transition was beginning to form. Perhaps the "next generation" wanted to make its unique mark, cast aside anything from "the old school" of Romanticism, and popularity for the form slowly died off. It's disheartening to think that this work may have succumb to such a shift in the tides. But I'm also pleased to see that, in the past decade, some of the bigger companies have started to bring this work back into the mainstream, including New York City Opera and Santa Fe Opera. And, I'm thrilled that Petite Opera is able to bring this gem once again to the Chicago area so you and your family can enjoy it as much as I do. So step out of Petite Opera's life-sized storybook right along-side the characters. Live the tragedy and dreams of Cinderella, the absurdity of the Stepmother and stepsisters, and the magical moments of the Fairy godmother. Don't let Jules Massenet's Cinderella (Cendrillon) pine away in the back vaults and musical stacks. Bring the whole family. Come relive the story with your parents, and your kids. Don't let another 100 years go by to enjoy this treasure. Susan Baushke is Executive Director and Artistic team leader of Petite Opera, which strives to make everyone an opera lover, and every work approachable to the masses. She holds her Bachelor's degree in Music from Northwestern University, and an MBA in Marketing from DePaul University. Ms. Baushke has authored numerous outreach programs and scripts to engage audiences and help them undergo comparative studies of various genres. She has also written various productions to expose newcomers to opera. Petite Opera performs Cinderella November 2-17, 2012 at Mary Wilson House Beyer Auditorium, part of St. Mary's Episcopal Church campus, 306 S Prospect Ave at Crescent Ave (enter on Crescent Ave), Park Ridge, IL. Call 847-553-4442 to reserve tickets, or purchase tickets online via credit card (convenience charges apply to credit card orders).